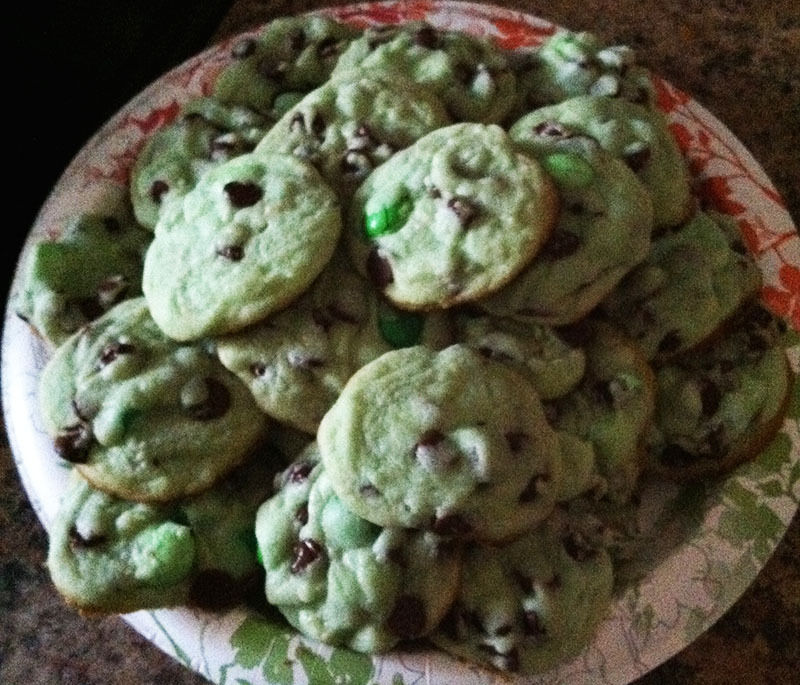 I really love chocolate chip mint ice cream (probably my favorite flavor) and some day on Pinterest I came across these fancy cookies that supposedly taste like chocolate chip mint ice cream. I checked out the recipe and here I have a the dumbed down/cheap/faster version which turned out delicious and I have brought them to parties since and everyone praises their yumminess! So I recommend them to any semi-homemade ladies/gentlemen who want to impress their bests. Heat oven to 350°F. In large bowl/your sweet kitchen aid mixer, mix the sugar cookie mix, butter, extract, and egg until soft dough forms. 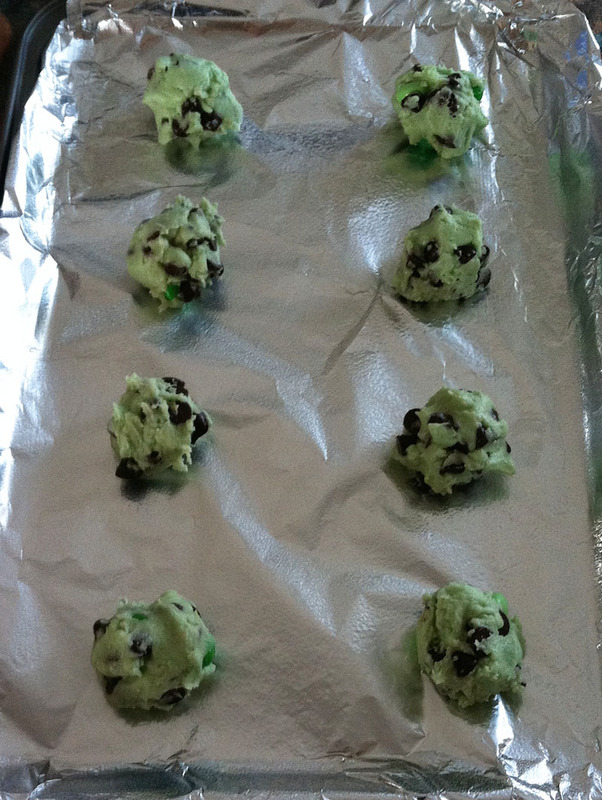 Carefully add the food coloring, remember you can’t take it out, so I do one drop at a time until I get the color I like. 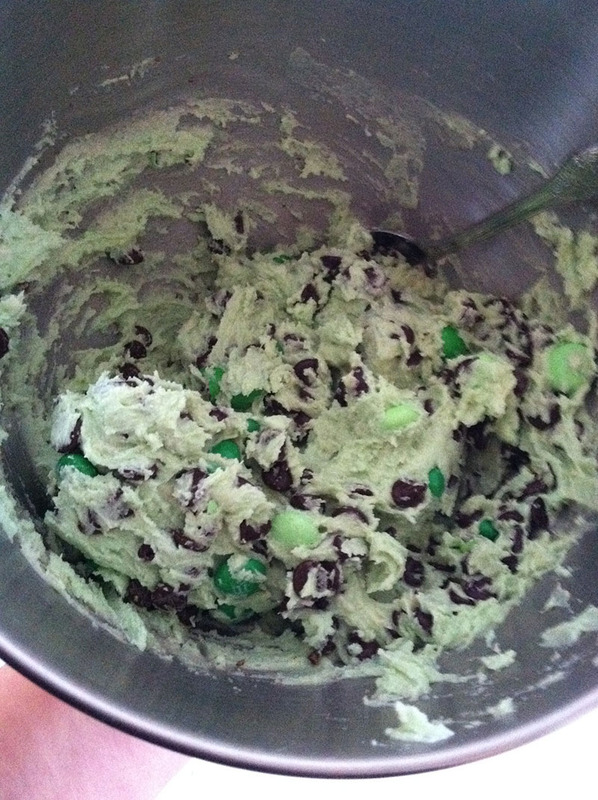 Now add the chocolate chips and the dark chocolate mint M&M’S@reg, DON’T over mix these in, because as they crack your green dough is likely to turn brown! Bake 8 to 10 minutes or until firmness you like. Let cool slightly and SERVEEEE!